This month we talk to HAAG member Vijay about her experiences as a radio host in India as well as her housing struggles in Australia. 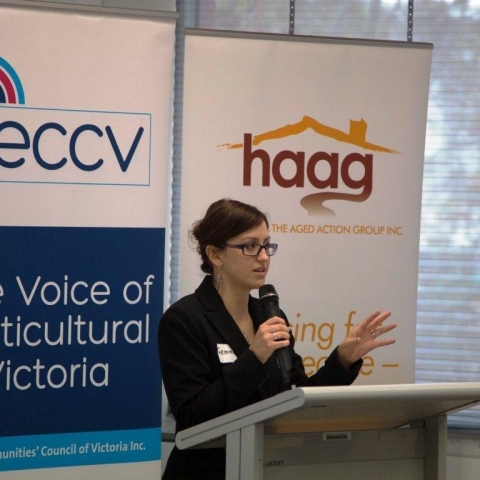 Gemma tells us about a new project to increase involvement of people from CALD backgrounds at HAAG. Shane gives an update on HAAG's retirement housing project including important casework and lobbying work.